Native of Franche-Comté, Romain did his training in France and then realized his traveling dreams by exploring the world, discovering new flavours. He worked for a year to the British West Indies where he became acquainted with Caribbean spicy cuisine. Upon his return, he spent two years at Hélène Darroze in Paris, then puts his talent to the service of the prestigious Maison Potel et Chabot, working from chef de partie to sous-chef. Alain Ducasse notices him and calls him to his side at the Plaza Athénée, first as chef-de-partie and then as sous-chef. He later is named chef at La Cour Jardin. Ducasse confirms his position as Chef by entrusting him with the kitchen of his restaurant Spoon des Iles in Mauritius. The success is dazzling. To prepare for the opening of his restaurant in Doha, Ducasse entrusts Romain Meder with a mission of the highest importance: explore Lebanese, Moroccan and the Western side of Indian cuisine to define a contemporary Middle-Eastern cuisine. For a year and a half, Romain immerses himself in these traditions, the use of spices and of vegetables. It is this unique experience that nurtures the creation of the IDAM menu, the restaurant located in the Museum of Islamic Art in Qatar, whose kitchen is evidently entrusted to Romain. 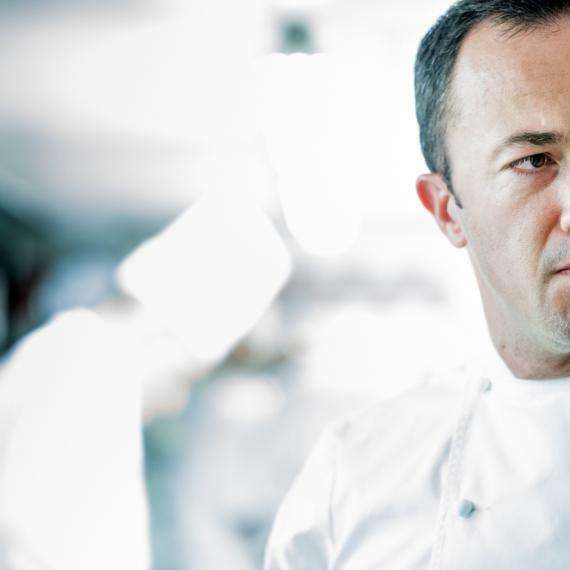 Since the beginning of 2014, Romain has moved to Paris where, together with his team, he is preparing the reopening of the new restaurant Alain Ducasse au Plaza Athénée with great care, becoming the new executive chef, and all this under 36 years old.